Ecclesiastical cool meets retro 1960s teahouse at the second outpost of Hong Kong's beloved Duddell’s. Even if you had no idea what type of cuisine was on offer, the décor of most Chinese restaurants—loud swaths of crimson and gold, ornate calligraphic Hanzi, and perhaps the odd tasseled lantern—would instantly give you a clue. 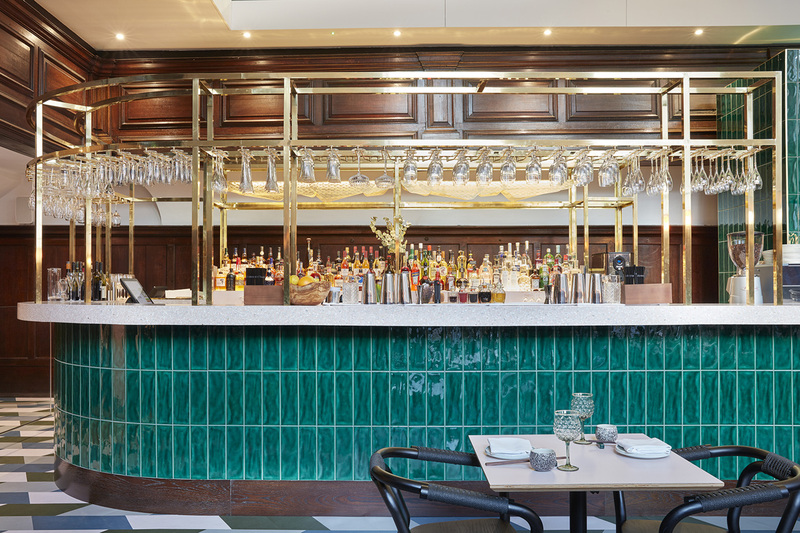 Not the case at new Cantonese locale, Duddell’s London, an outpost of the Ilse Crawford–designed, Michelin-starred restaurant in Hong Kong, where nary a splash of red can be seen. 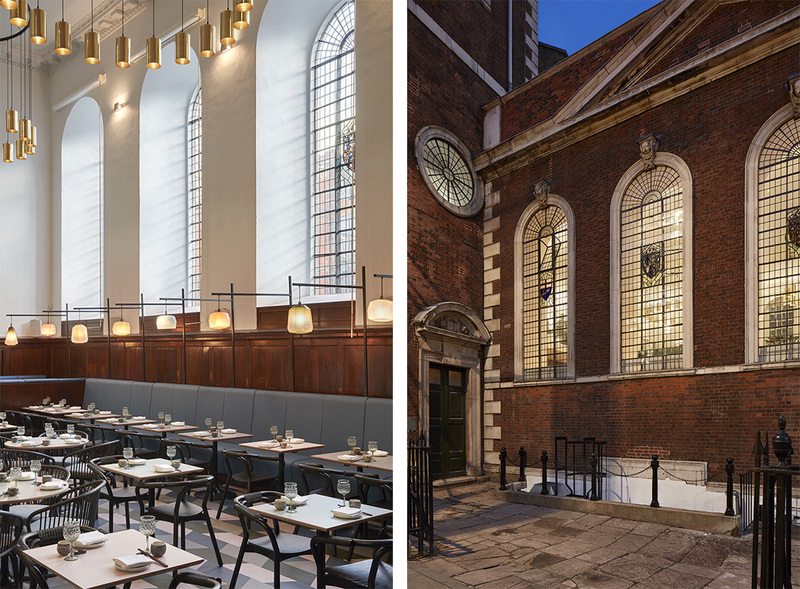 Instead, architects Michaelis Boyd opted for a more soothing palette for the London iteration, housed in the historic Queen Anne–style St. Thomas Church in London Bridge. 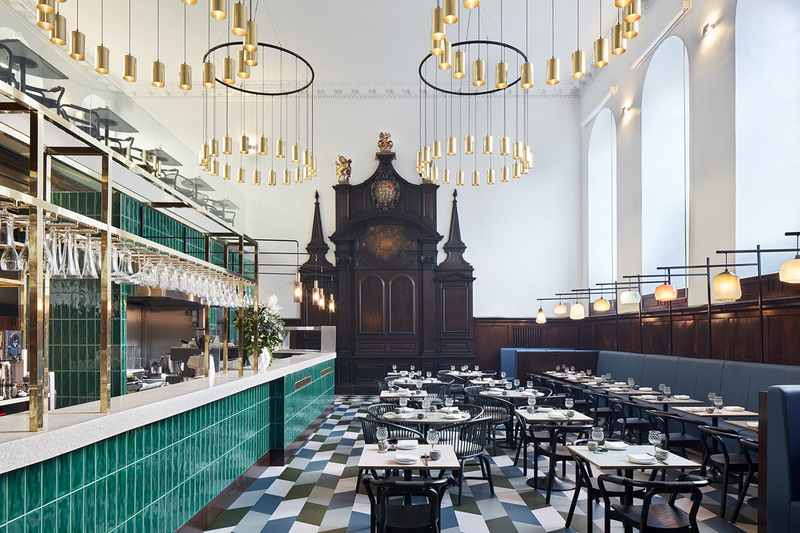 Sea-green tiles clad the cocktail bar and open dim sum kitchen, while sky-blue banquettes sit elegantly against dark oak. 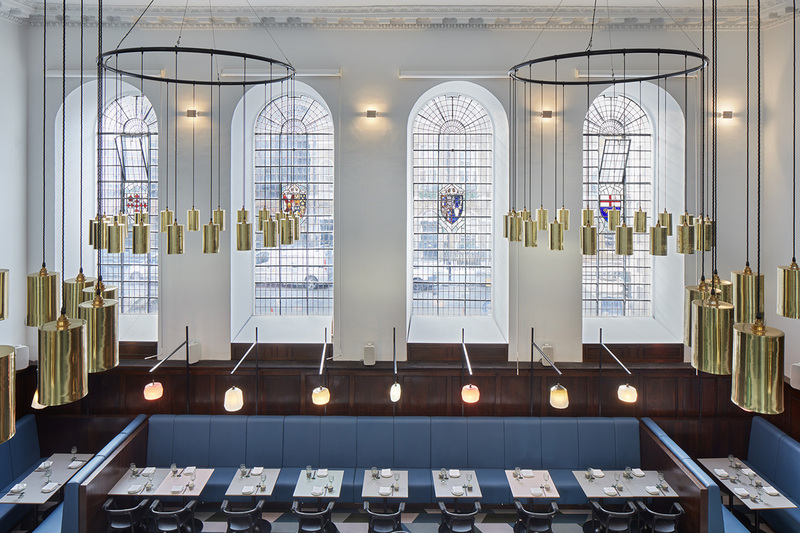 Overhead, dramatic brass light fittings offer a contemporary interpretation of traditional church illumination. While the church’s original timber altar remains, the mood is far from pious. 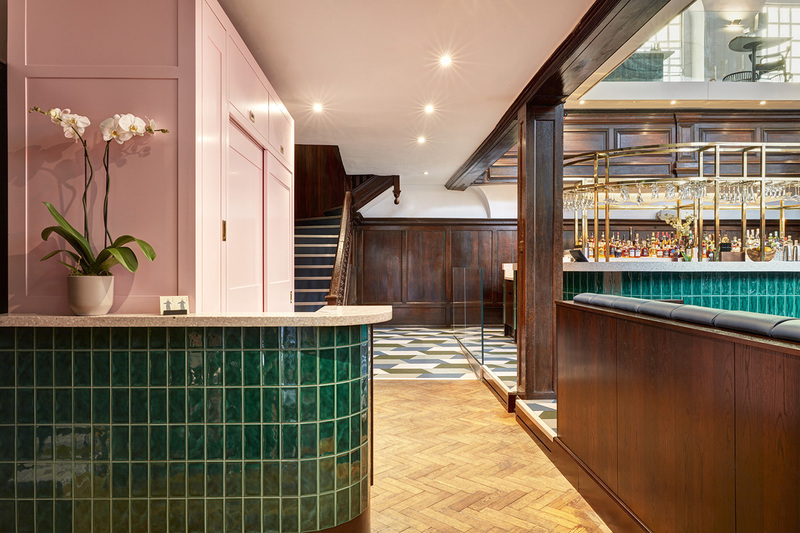 Colorful geometric tiles, pink terrazzo, rattan chairs, and ample natural light liven up the space, which is intended to be a contemporary twist on the retro 1960s Hong Kong tea restaurant.